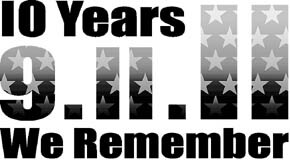 Boone County residents are invited to commemorate the 10th anniversary of the 9/11 terrorist attacks on America at two special observances this Sunday, Sept. 11, 2011. A 9/11 Patriot Walk will be held Sunday at 2 p.m. in Primrose, and area churches are sponsoring a potluck supper and special commemoration service at 5:30 p.m. Sunday in Zion Lutheran Church, Albion. Details in the Sept. 7 Albion News and Petersburg Press Print & Electronic Editions.